This multinational leader in CAD/CAM/MES/ERP solutions incorporates specific functionalities for the design, nesting and machining of sheet metal in the shipbuilding sector. Its capacity to adapt to the specific needs of any metal company is one of Lantek’s competitive differences. The multinational has consolidated its global presence in metal-related sectors such as automotive, construction, iron and steel, the manufacture of large metal structures, rail and shipping sector, with a total of more than 14,000 customers with presence in more than 100 countries. In the latter sector, shipbuilding, Lantek has amassed many years of research and development of specific software solutions to optimise and make the design, nesting and machining processes of sheet metal in the construction of ships and other types of vessels more profitable. Not in vain, ground-breaking companies such as Hyundai (Korea), Navantia and Astilleros de Murueta, both in Spain; and Ravestein BV (Holland), among others, have been using Lantek technology for many years. In this line, Lantek provides the shipping companies with geometry importers that are compatible with the main ship design systems on the market. Furthermore, the multinational offers technological options for managing the machines, such as loops and chamfers that help program the cutting machines with triple and rotating blow torches, and the anchorages, that permit cutting long pieces. The results are one hundred percent true to the design generated. The specific options for the shipping industry are completed with the possibility of managing cutting with multi-blow torch in order to increase the production of each machine, continuous cutting to eliminate perforation times and increase the working life of the cutting nozzles, or the possibility of managing any marking, engraving or stippling procedure that the machine has. The Lantek solutions are also outstanding in terms of nesting software for cutting applications, offering automatic and semi-automatic nesting algorithms, or nesting by multi-blow torch, which, among other advantages, permit optimising material and reducing machining time. Furthermore, the Lantek technology permits automatic machining and nesting in double and symmetric sheet metal, the comprehensive control of remnants and pre-nesting to select the sheet metal format that achieves the best performance. 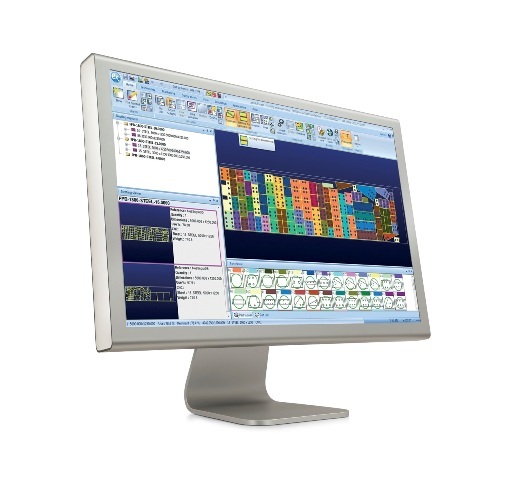 Time and cost calculation, pre-visualisation of machine loads, traceability or integration with any existing management system, are just a few of the other functionalities that Lantek has adapted for the shipping sector.